For those of you who remember Cooking with Patty from before and to those who are new here. I’m very close to launching my new website. In the past the site was dedicated to Italian recipes that I made at home in Verona, Italy. In the last few years things have changed a bit because we moved to Minnesota. As a result my cooking has been enriched by the different ingredients I can find here and influenced by all the different cuisines. 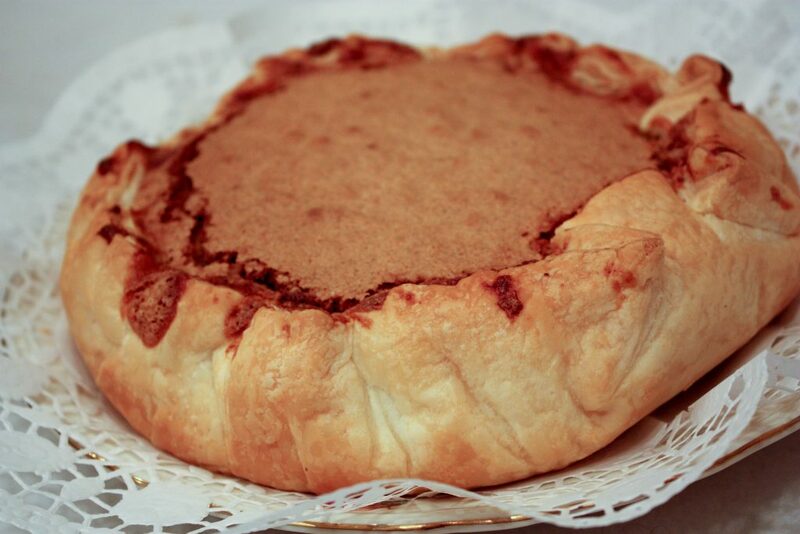 Russian cake “torta russa” is a typical cake from my hometown of Verona. Up until few years ago I thought this was a well known cake all over Italy. 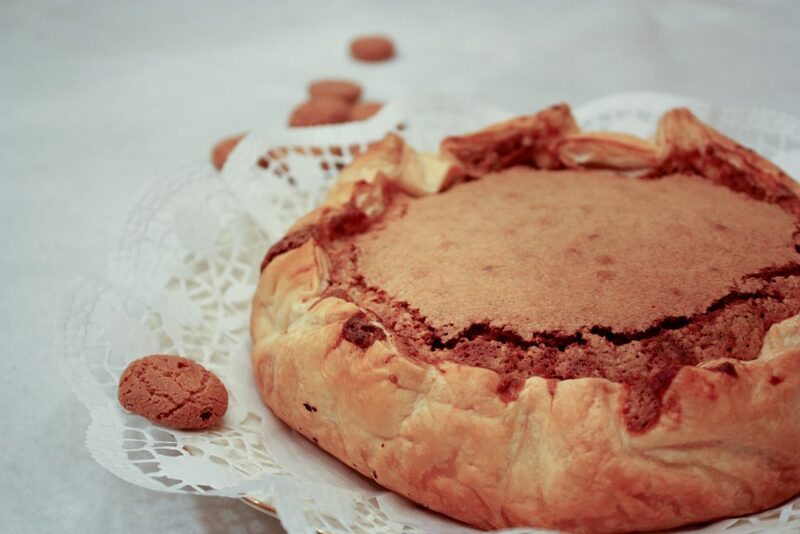 After all in Verona you can easily find it in pastry stores and bakeries. Instead it’s all but unknown outside of Verona and that is unfortunate because this is a very good cake. It is my favorite cake. The cake I always want on my birthday. 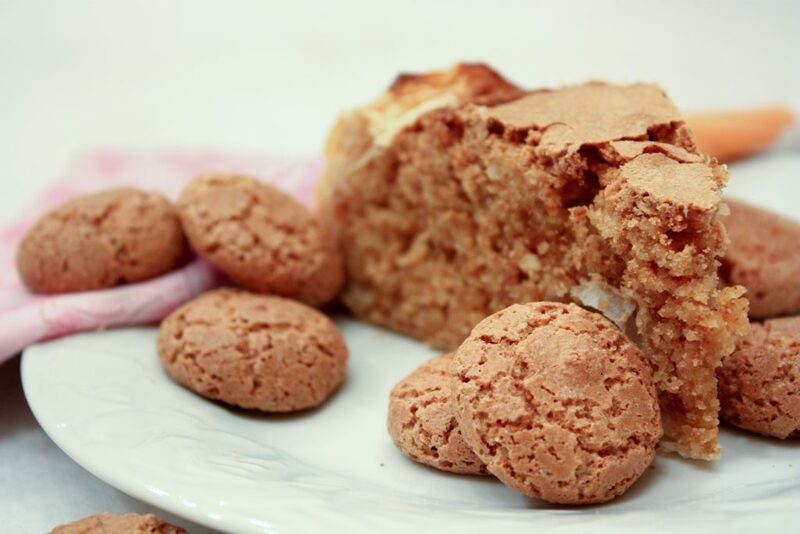 Blend the Amaretti in a food processor and then set them aside. Now blend the almonds too, however turn the processor on and off quickly as you want to chop them finely, but not turn them into a cream. Set them aside. Put the butter and sugar in the food processor and blend together until creamy and fluffy. Then add the eggs, one at the time until well combined. Now add the flour and a pinch of salt and blend them in. Set the food processor to a low speed and add the almonds and a shot of amaretto. Finally ad the amaretto cookies and mix them in. Roll out the puff pastry until it is nice and thin and put it in a 9″ springform pan. Roll it out so that it is big enough to come out over the top of the pan. Fold the puff pastry from the sides onto the cake. Note that it doesn’t have to cover the whole cake just the first inch or two form the outside. Bake in a preheated oven at 360° for 40-45 minutes or until done. You can check by inserting a toothpick into the center. If the crust starts to brown too much cover it with foil.